John Killoran is the CEO of @Pay, a mobile giving platform. 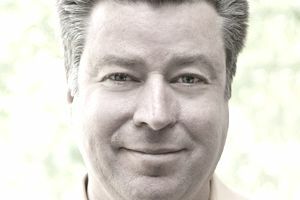 John pioneered SMTP payments and has been an influential innovator in the mobile payments space since @Pay’s inception. In May of 2011, John co-founded @Pay after inventing the “Two-Click Email Check-Out Technology.” @Pay is now a simple and secure platform that makes giving on a mobile= device seamless. With @Pay’s platform, organizations can give donors a frictionless experience. People can donate in two clicks from a text, email, web, and social media sites using the platform. John’s background is in creating innovative technology applications and includes over 16 years’ worth of experience developing such applications using popular programming languages, databases, and mobile devices. Before co-founding @Pay, John started Clover Leaf Solutions, Inc. in 2005. Clover Leaf Solutions, Inc. provides high-level consulting services for environmental, health and safety, information technology, and construction management and inspection services. Since 2005, John has helped grow the firm from a 3-person start-up to an 80 plus person firm. The company now provides solutions to Fortune 100 companies including DuPont and Hess as well as large clients within the Department of Defense and the Department of Energy. John holds a B.S. in Mechanical Engineering from Widener University and a J.D. from Widener University School of Law. When John is not busy running a company, he spends his spare time cooking food for his family and telling his dogs to stop barking. If you’re interested in learning more about mobile giving and @Pay, send an email to info@atpay.com or give them a call at 505-998-9600. You can also read a sample of his writing.